I got up this morning and the sun was shining for the first time in weeks, a perfect reason to drink tea on the patio. 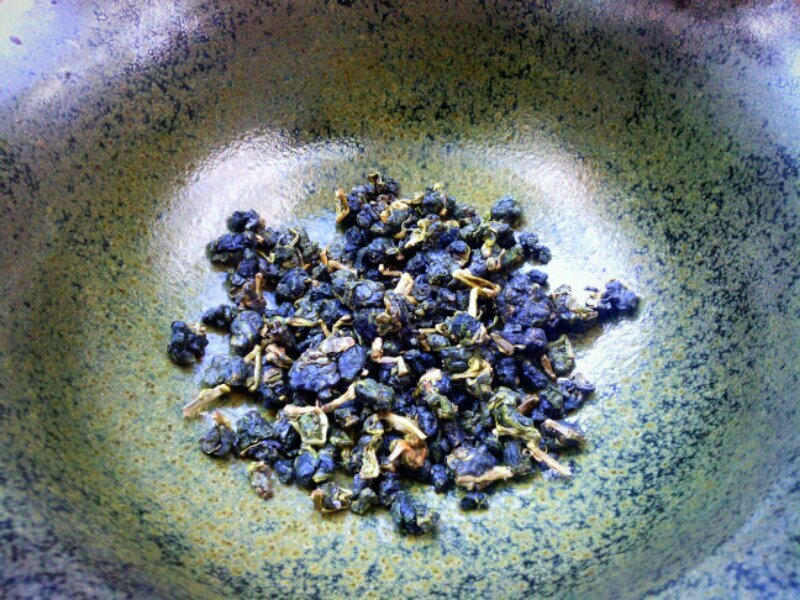 I decided to explore some Li Shan Oolong. 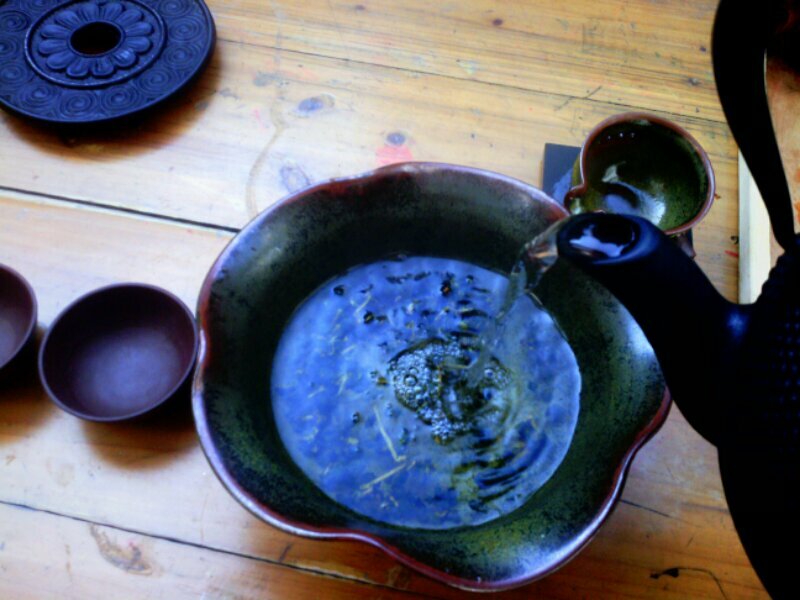 The Li Shan area is one of the highest tea growing areas in the world and produces some of the best Taiwanese Tea. Fruity and floral, refreshing and uplifting. Perfect for contemplative mornings. The leaves were tightly curled up into little balls and attached to the stalk. The Taiwanese Oolong was perfect for my Taiwanese bowl and ladle setup. 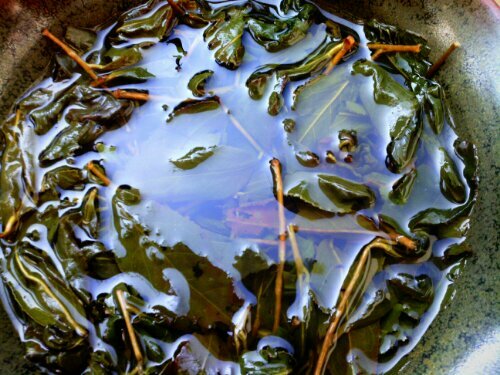 The tea leaves look natural and beautiful.